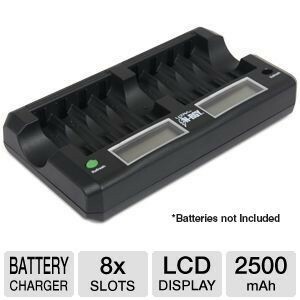 TigerDirect has a Free Ultra AA/AAA Battery Quick Charger after mail in rebate, from $4 shipping. Exp 3/28 or while supplies last. Quickly charge your AA and AAA batteries. Upto 8 can be charged at a time. It is much more green to use rechargeable batteries.